Home Boxing Where to watch Golovkin vs Brook in Philippine Television? 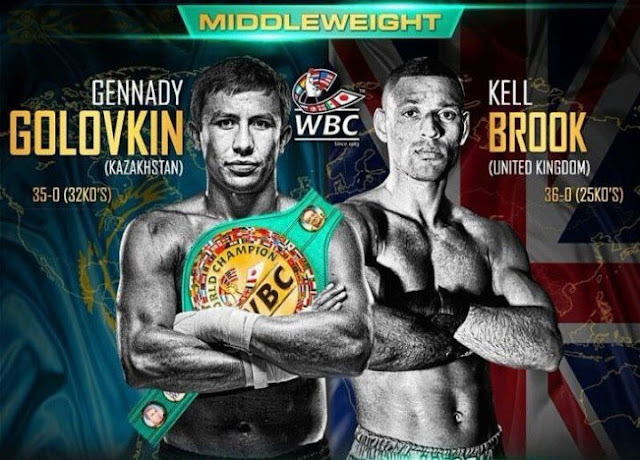 Where to watch Golovkin vs Brook in Philippine Television? Blockbuster event Golovkin vs Brook will be telecast on TV5 on September 11, 2016 at 2PM. It will be delayed but this is the only way to watch our kababayan Johnriel Casimero on Philippine Local TV for Free. At O2 Arena (Millenium Dome) in London two unbeaten fighters collide on September 10, 2016. Superstar and pound 4 pound king today Gennady Golovkin is set to face the unbeaten Brit Kell Brook in a one of the anticipated boxing match this 2016. Aside from that Lee Haskins faces Stuart Hall for the IBF World bantamweight title. Also in the card, Johnriel Casimero of the Philippines takes on the unbeaten Charlie Edwards of UK. Casimero is set to defend his title in front of his opponent fans.